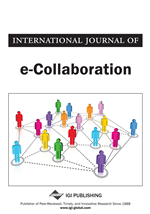 Based on the literature on the diffusion of innovations and on information systems, and building on emerging concepts in electronic collaboration (e-collaboration), this article measures the influence of various determinants on manufacturing firms’ intent to use Web-based inter-organizational information systems (IOISs) to share inventory information with their key suppliers. This theoretical model is tested on data collected from 498 senior managers of Canadian manufacturing firms. Our findings indicate that a manufacturing firm’s organizational readiness, its past experience with e-commerce and its business relationships all affect its future use of Web-based IOISs to share inventory information with its key suppliers. The results of Tobit regressions also provide supporting evidence that firm size moderates the impact of the present use of e-commerce with suppliers on manufacturing firms’ intent to use Web-based IOISs to share inventory information with key suppliers.